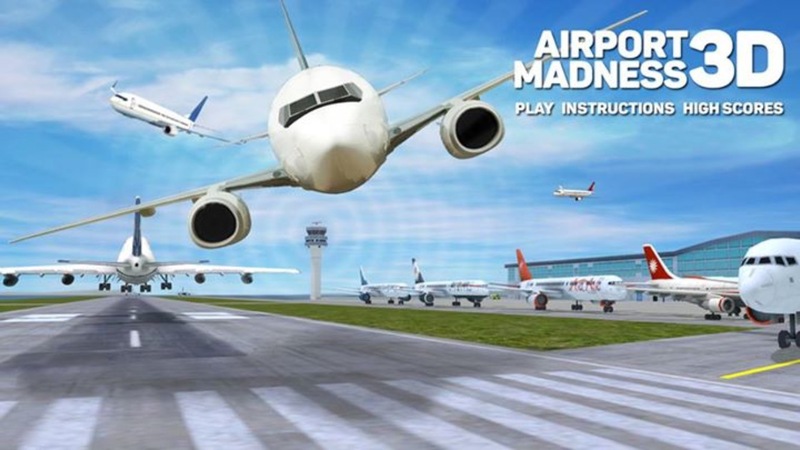 What does everyone think of our proposed splash image for Airport Madness 3D ? 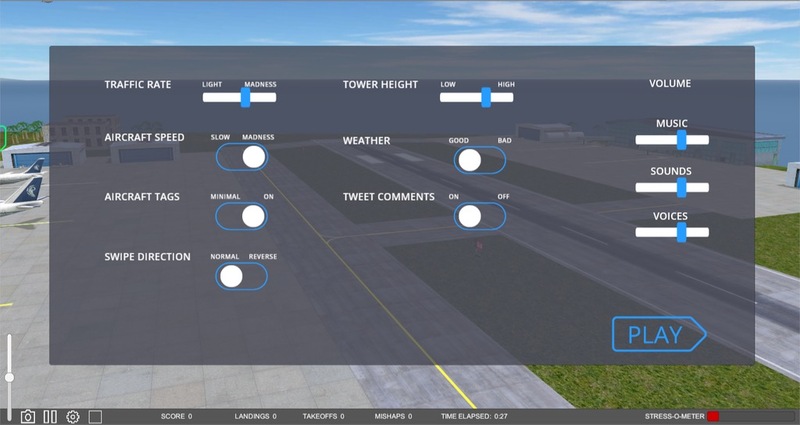 We’ve finalized the Settings page for our upcoming game, Airport Madness 3D. As you can see, the new 3D environment has created some interesting game options. 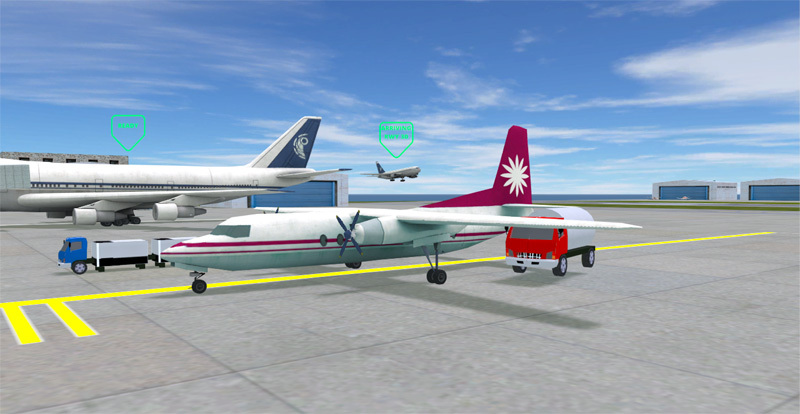 A player can view the airport in 360 degrees by dragging their mouse (or swiping their finger on a mobile). Swipe Direction is an option that I’m sure a few of you will like. When you swipe left, which direction the world moves is up to you. Tower height control is such an easy feature to add, it would be a shame not to. I’ve chosen what I feel is the ideal height, about 100 feet above ground. This can be reduced to as low as 20 feet, or as high as 200. I’ll post more screenshots shortly. Still aiming for a March 2016 release! I’ve added an interesting little feature to our upcoming Airport Madness 3D, which I expect at least 30% of you will like. 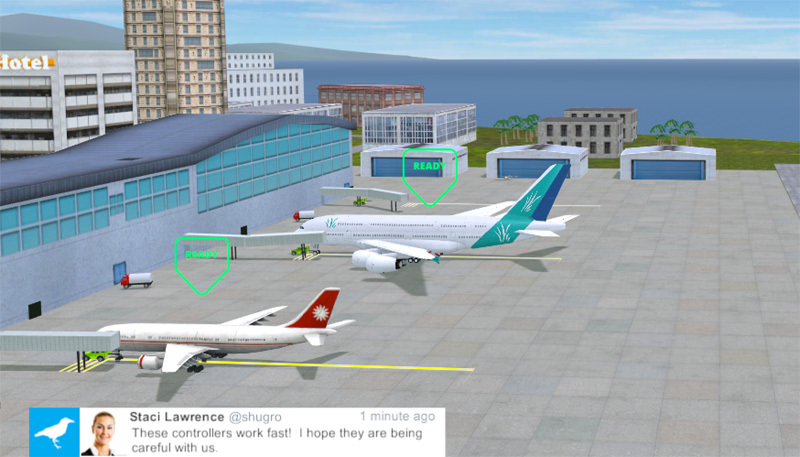 It’s an in-game Twitter-like feed of comments from pilots, passengers and local news stations to let you know how you’re doing as an air traffic controller. Originally, my plan was to insert “thought bubbles” above airplanes, giving the player a sense of whether or not they were doing a good job of controlling airplanes. However, in a game such as this one, visibility is extremely important. Thought bubbles would likely hide other airplanes, and make the game difficult to play. I came up with something I call “MadTweets”, a continuous feed of tweets posted by pilots, passengers, and local news. It’s tidy, non-intrusive, and easy to turn off in Settings. 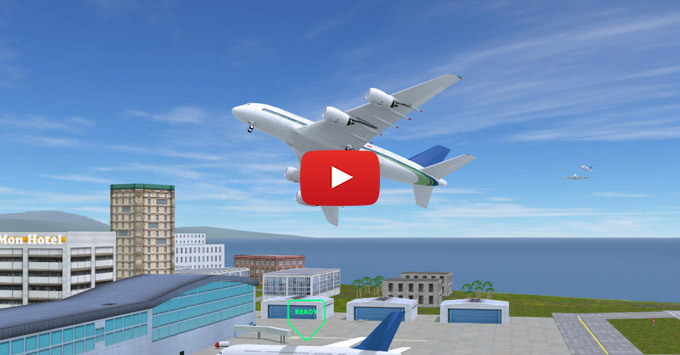 Watch a Teaser Video of Airport Madness 3D! I’m keeping extremely busy with the upcoming release of Airport Madness 3D. As you can see in the above image, the airport details are beginning to take shape. What you cannot see are the spinning propellers and animated fuel trucks, baggage carts, tugs, and moving passenger jetways. The closer I get to finishing this project, the more excited I get about it. I hope to show you a teaser video very soon. Working with Unity3D, our development software, is an absolute dream. I’m constantly amazed by how easy it is to implement my ideas. Adding radar screens was a very simple task. Just yesterday I got an email from somebody asking if it would be possible to add “instant replay”. After a brief search of the Unity website, I determined that this is a relatively straightforward feature to add. One thing I’m not sure about at this point are the aircraft I’ve chosen. These are purchased 3D models (I’m not a 3D modeler), and they were the first thing I found that a) looked good and b) were low poly which means they will play nicely on a slower mobile device. I’ve created some of my own liveries (can’t use real airlines, unfortunately). I purchased these vessels nearly a year ago, but I’ve since found better stuff out there. So at this point, I’m looking for feedback on how the aircraft look. As for a release date? I’m always late in delivering, so I’m trying to be somewhat vague. I suspect this game will be complete by the end of February 2016, so check the product page regularly!